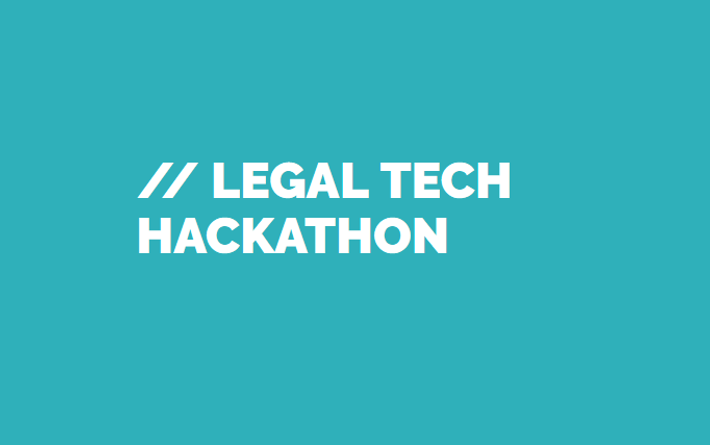 The organizers will show specific Legal Tech applications and give an overview on which tools are available, are used and distributed. Twelve provider will present their products for legal day-to-day work – swift, to the point, no slides, no marketing talk. You will get to know a mixed bag of tool, from academic (yet practical) works, innovative startups to multi-national platforms. 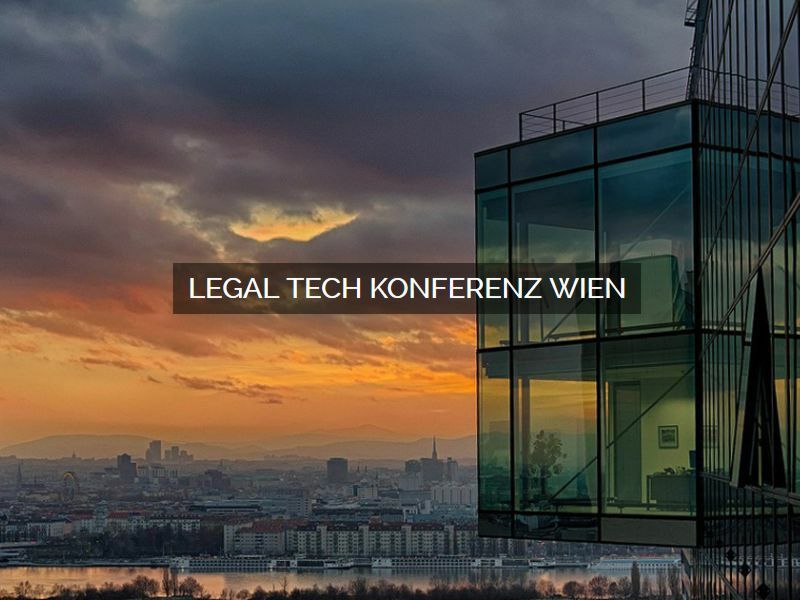 In an enjoyable and inspiring evening you will become more familiar with current developments and trends and obtain a general and substantial overview on the current application environment of Legal Tech and current Legal Innovations. Ask questions and connect with the organizers, developers and the Frankfurt Legal Tech Community. You will find further information on the presenting companies and solutions on www.legaltech-frankfurt.de. Please RSVP via meetup.com or info@legaltech-frankfurt.de. 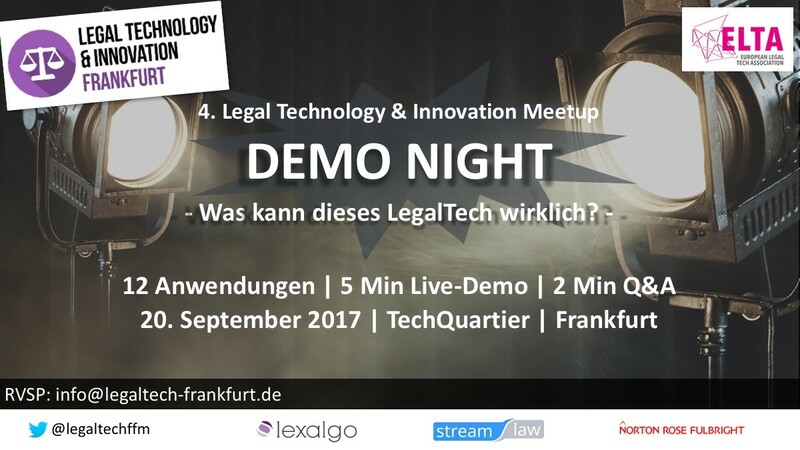 The demo night ist organized by Legal Technology & Innovation Frankfurt in cooperation with ELTA.